Flowers and jewelry! That's what every females wants! 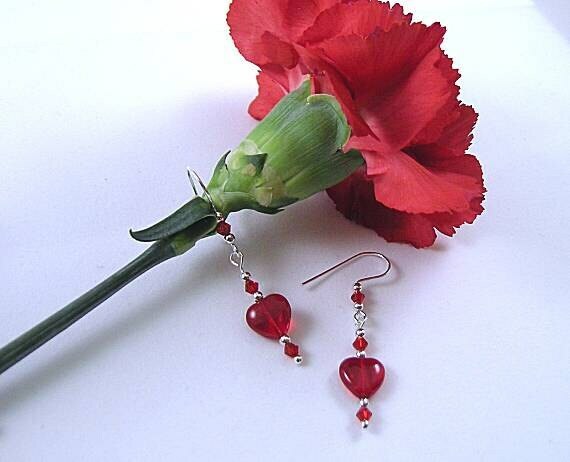 We can supply the jewelry part with these beautiful earrings. 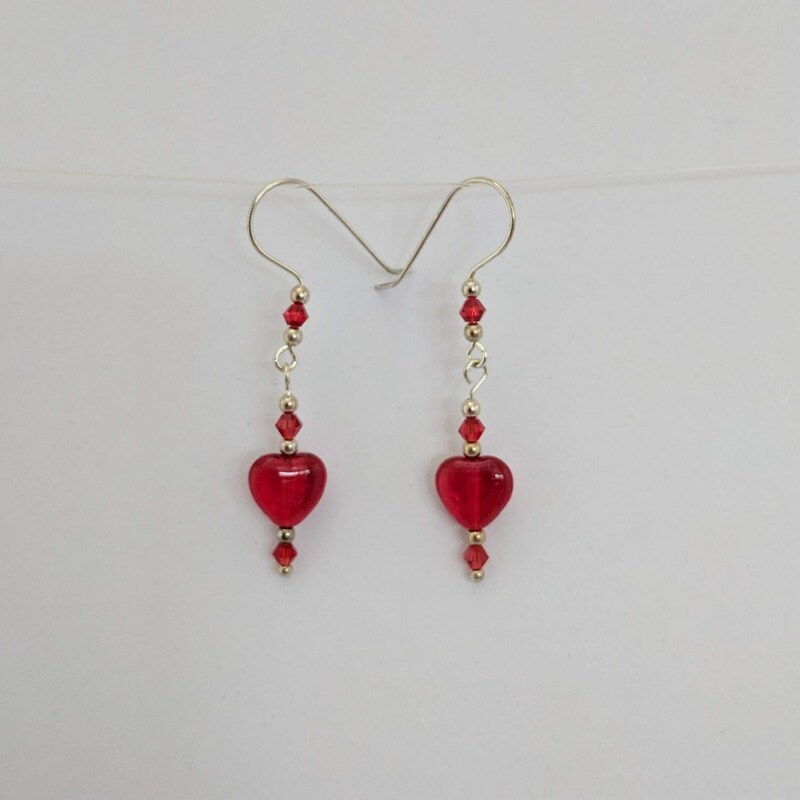 The 10mm red glass heart is the outstanding feature of this elegant looking pair. 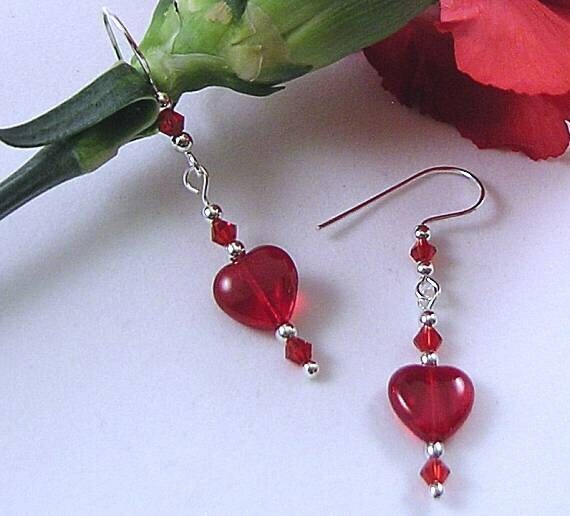 It has 4mm red crystals and 2mm metal beads giving it a special sparkle. The ear wires have matching crystals and metal beads. Overall length is approx. 2 inches from top of ear wire to bottom of headpin. Act Now! After this listing expires, it will not be renewed until next year!